As colder weather approaches, you may decide to store some of your summer clothes. However, when warmer temperatures roll around again, you might not find those shorts and tank tops exactly as you left them. Certain insects that feed on fabrics and textiles can leave your carefully stored clothing damaged and full of holes. But don’t despair! Your shirts aren’t necessarily doomed. With some tips from Terminix, you can learn what kinds of bugs damage fabric and how you can best protect your outfits in storage. When you picture the kind of bug that finds its way into a closet and ruins your clothing, you probably think of a moth. The larvae of clothes moths feed on everything from synthetic fabrics to upholstery to stray pet or human hair. While adult moths don’t actually eat fabric, the hungry larvae can ruin your summer clothing if they hatch where you’ve stored your things. In addition to moths, carpet beetles can also target textiles and fabrics. The adults look like small ladybugs, but the larvae are the true danger to your clothes. They can feed on wool, feathers, fur, linen, cotton and soiled synthetic fibers. While adults only live up to 60 days, they can lay as many as 100 eggs. Once hatched, those larvae can be present for up to a year. That’s not ideal for keeping your boxed-up clothes safe. How can you stop an infestation before it starts? Keep a close eye on the places where fabric-eating bugs like to hide. This can include carpets, rugs, wall hangings and upholstered furniture. Vacuuming these areas can remove any larvae and help you prevent an infestation before it gets out of hand. Additionally, be sure to repair torn screens and block any cracks under your doors to prevent clothes moths from entering. How do you store your clothes safely? Another key to keeping your stored clothes bug-free is to clean them before packing them away. Stains can attract hungry pests, so be sure to remove any obvious ones such as food or oil before boxing things up. 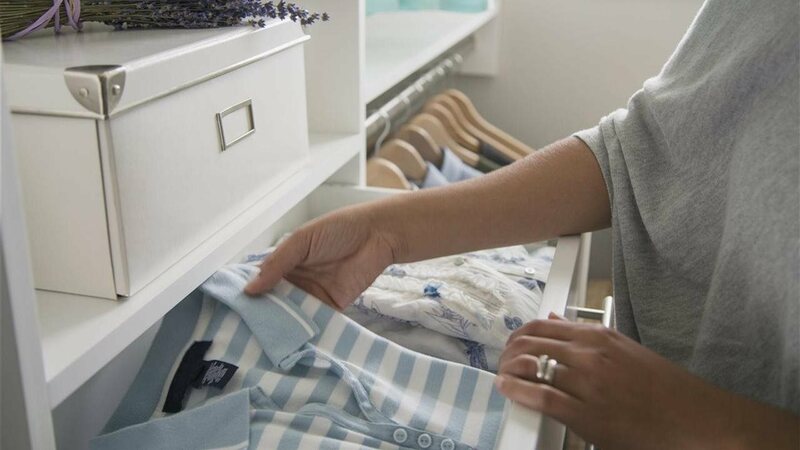 Make sure to keep the area where you’re storing your clothing as clean as possible as well. Whether you’re keeping things in a box, a closet or your attic, vacuum the area and wipe down any shelves and walls. How do you handle an infestation? If you find yourself with damaged clothes and an infestation too big to tackle alone, it’s time to contact a specialist. Trained pest control professionals, such as Terminix’s technicians, can help remove destructive pests so you can store your undamaged summer clothes safely in the future.